Corvette display in Guangzhou. 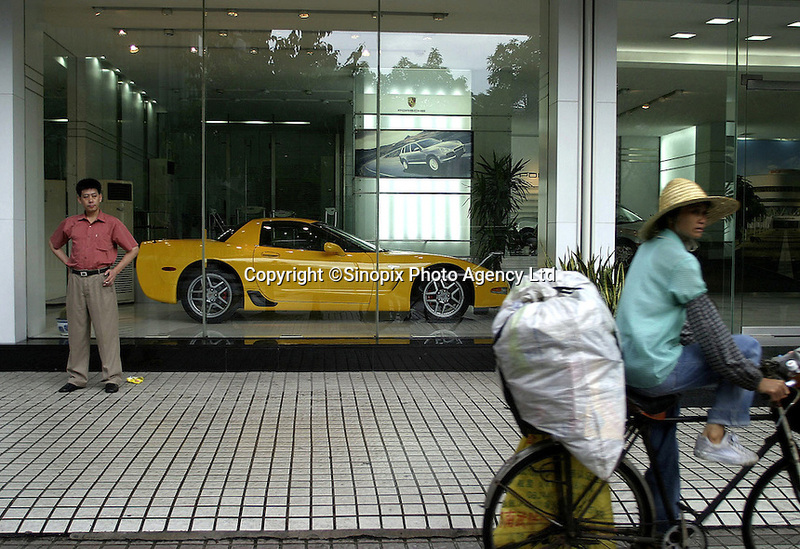 A Chinese cyclist passes a Corvette display window in Guangzhou, China. The Chinese government has been encouraging the purchase of automobiles; ownerships of vehicles including luxury models, have been on a steady rise..